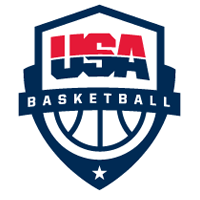 The 22nd annual Nike Hoop Summit will see the USA Junior National Select Team take on the World Select Team in a one-game battle 7:00PM April 12, 2019 at the Moda Center in Portland, OR. The Nike Hoop Summit pits America's top high school seniors against the best basketball players from around the world who are 19 years old or younger. The past nine #1 overall NBA Draft picks have played in the Nike Hoop Summit. CLICK HERE to view the extensive Nike Hoop Summit history including box scores, stats, event alumni and more!